We sit down with old people over 80 each Friday to talk about life. This week we sit down with Leo Feldman, he is 93 years young and loves to shoot from the hip. 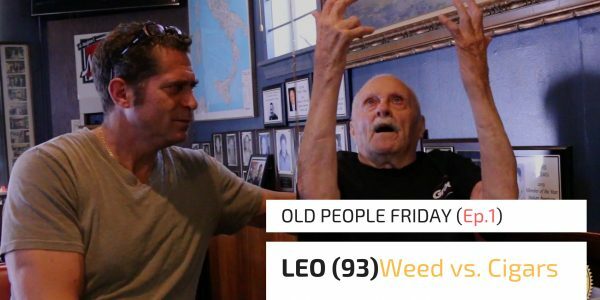 In this Episode Leo complains about weed and talks about how cigars don’t smell as bad as everyone thinks they do. Listen to what they say because it’s Old People Friday. For more on Old People Fridays check us out on FB, Twitter & Instagram @breakingballs86. Got someone you want us to interview reach out on our website or on Facebook and click on the “GET INVOLVED” tab on the site and let us know.